Every child learns from watching their parents and the people around them. Go a step further and help your family discover what you’re capable of together by volunteering abroad together. A family volunteer holiday gives you the opportunity to further shape your children's views of the world. You’ll also be able to show them the power of helping others. With us, your family will work on a project that focuses on long-term, sustainable solutions, not quick fixes. You’ll work directly with people from local communities and learn about their culture and traditions. And through it all, our dedicated in-country staff are there to support you and your family 24/7. Our hassle-free approach means you can leave all the details to us. We’ll do the planning and organising while you prepare your family for the adventure of a lifetime. We’d be happy to talk about creating a custom project for you and your family. Most of our staff have been volunteers themselves, so they’re well placed to answer your questions, big or small. 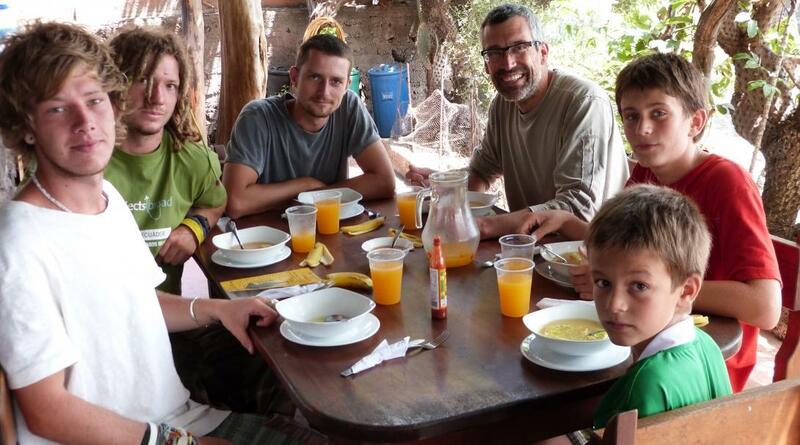 Is volunteering abroad right for my family? Volunteering abroad isn’t just an opportunity an opportunity for your family to bond and help others. It’s an opportunity for you all to realise your potential and build meaningful connections around the world. Take part in cultural exchange and see how people live. You’ll stay with a local host family or in comfortable accommodation organised by our staff. You’ll work with local people and become part of the community for a short time. Share a love of travel with your family. If you have children, volunteering abroad as a family is an opportunity to guide your children safely on their first trip abroad and develop a love of travelling. A trip like this will open their minds to the beauty or our world, but also the different challenges that families have across the globe. Take part in experiential learning. Encourage your children to learn by doing. Teach them how to adapt to different environments, learn from people they meet, or how to learn from their own observations. Family volunteering abroad lets you make the world your children’s classroom. Bond with your family. Volunteering abroad together is the perfect opportunity to deepen your bonds while in a new environment. You’ll create lasting family memories that are full of learning and exploring. With a busy volunteering schedule, your family will have less time to spend in front of the TV or on their phones. What type of projects can my family do? As volunteers, you’ll roll up your sleeves as a family and get right to work on a project designed to benefit local people or the environment. Take part in conservation efforts: Work in the heart of the Amazon Rainforest, help protect endangered giraffes in Kenya, or care for and release baby turtles into the ocean in Mexico as part of your family volunteer trip. We have a number of conservation efforts around the globe that focus on protecting endangered species and environments. Work with children in a school or childcare centre: As a family, you can support local teachers and caregivers by caring for and teaching kids. Plan fun activities, read stories, teach children games from your home-country, or help with mealtimes. As the saying goes, many hands equal light (and fun) work! Share your love of sports with children: Sports is a global language and has the power to bring people together. Share your family’s passion for sports with local kids and young athletes and help encourage people to have fun keeping fit. These projects are only a snapshot of what you can do with us abroad. Chat to us directly about finding the project that best matches your family’s interests and goals. We'll do our best to arrange something that works for you. How does it work for children? We offer a 5% discount to immediate family members travelling together. This discount applies to adults and children aged 15+. Please note that we can usually arrange projects for families in all destinations except China and Costa Rica. Also, in Jamaica, families are welcome. However, children cannot go to work with their parents here, so one parent needs to look after the children, or childcare can be arranged.